1 Afghan schoolchildren sit outdoors at an open classroom in Ghazni. 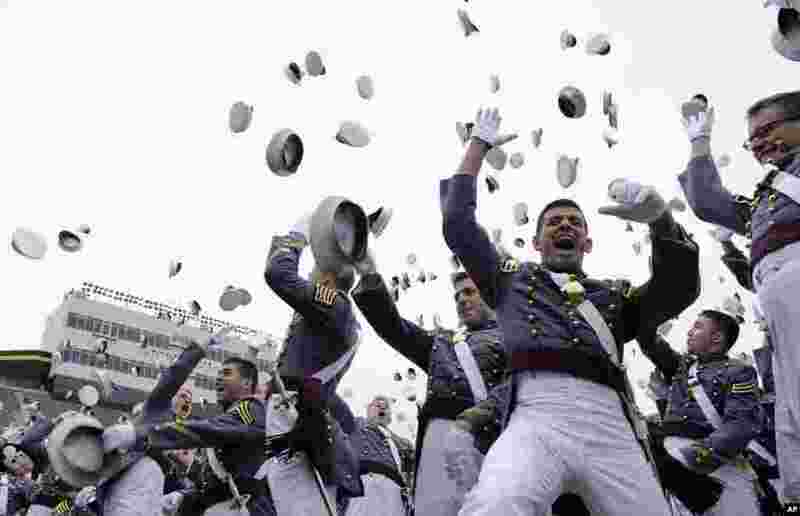 2 The 2014 graduating class of the U.S. Military Academy toss their hats during commencement ceremonies at West Point, New York. 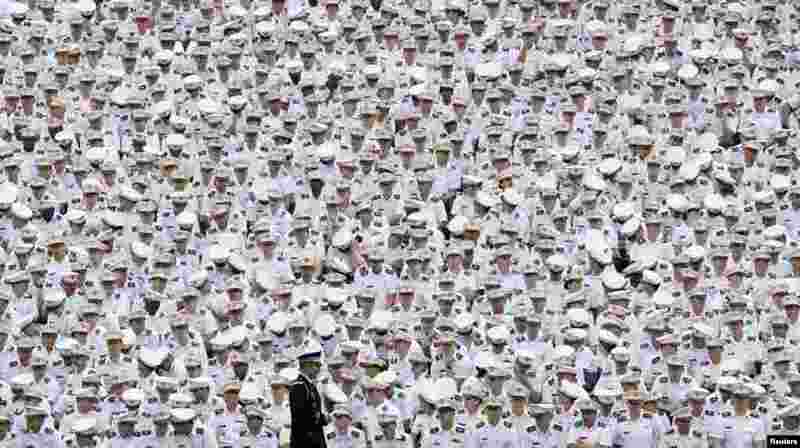 3 Underclassmen listen from the back of the stadium as U.S. President Barack Obama speaks at a commencement ceremony at the United States Military Academy at West Point, New York. 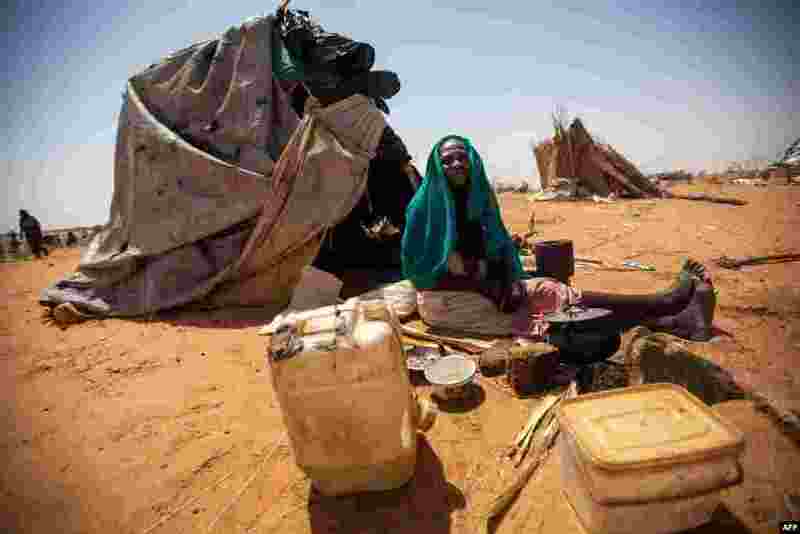 4 A handout picture released by the United Nations-African Union Mission in Darfur (UNAMID) shows Aisha Abdala, a displaced woman from Katila, South Darfur, cooking next to her shelter at the al-Sereif camp for Internally Displaced Persons (IDP) in Nyala, South Darfur, Sudan.